In June 2010 the Guggenheim Museum officially announced the call for participation in the YouTube Play international contest – a collaboration between YouTube and the Guggenheim Museum to unearth and showcase the very best creative video from around the world. Posted on YouTube, 14 invitations in different languages invited creative video artists from all over the globe to participate in the contest and to compete for a prestigious award to be presented in the Guggenheim Museum in New York and other satellite museums. Less than two months from when the official call for contribution was announced, the museum received 23,358 online videos from 91 countries, 125 of which were shortlisted and featured in the YouTube Play channel. The channel garnered more than 10 million online viewers the day of the live event in the Guggenheim museum celebrating 25 winners of the contest. 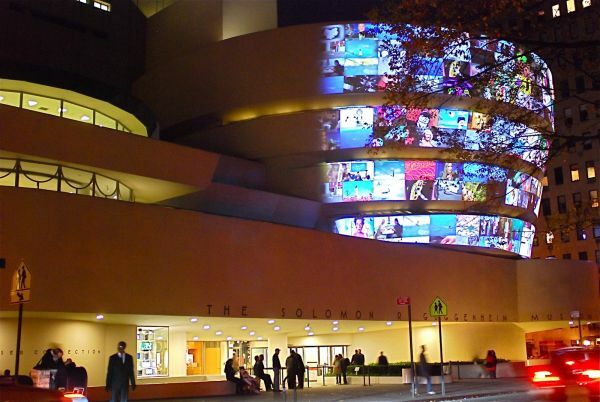 This amount of views exceeded the total number of online visits the Guggenheim web site usually receives annually. Over a year after completion of the project, the YouTube Play site attracted over 23 million viewers and to date it remains a popular YouTube channel with around 65,000 subscribers and constantly updated feedback on the videos constituting the channel archive. Employing digital ethnographic methods, my research explores the extremely transnational communication environment of the YouTube Play.The analysis identifies and investigates the most important components of the YouTube Play design that allowed the organizers of the project to significantly enlarge and diversify their online audiences, as well as to increase brands’ visibility and attractiveness across larger geographical markets. More importantly, the analysis of the online audience’s behaviour and communication patterns reveals that the YouTube Play exerted powerful cultural influences over global publics. Specifically, the platform’s international environment enabled active cross-cultural interactions among diverse participants who influenced each other. As a result, these cross-cultural influences provided conditions for establishing cosmopolitan forms of communication, leading to cultural and linguistic homogenization. Accepted by major online publics as social norms of cultural and linguistic behaviour, YouTube Play audiences from different countries willingly adopted cosmopolitan textual practices of self-expression which allowed them to integrate in the transnational context of global communications. Dr. Natalia Grincheva is a Research Fellow at the Transformative Technologies Research Unit at the University of Melbourne (Australia), where she works on a number of research projects exploring how new media technologies challenge and innovate contemporary art and cultural practices, policies, and diplomacy. Natalia has developed a strong academic record in the fields of museums studies and digital diplomacy through her international field work in many countries. Based on her research finding on digital programs implemented by the largest internationally recognised museums in North America, Europe, and Asia at the moment she is working on her first monograph “Online Museums as Sites of Cultural Diplomacy.” The Digital Studio's lunchtime seminar series showcases research projects of internal and visiting academics from across the digital humanities, arts and social sciences. Bring your lunch and your appetite for engaging research.